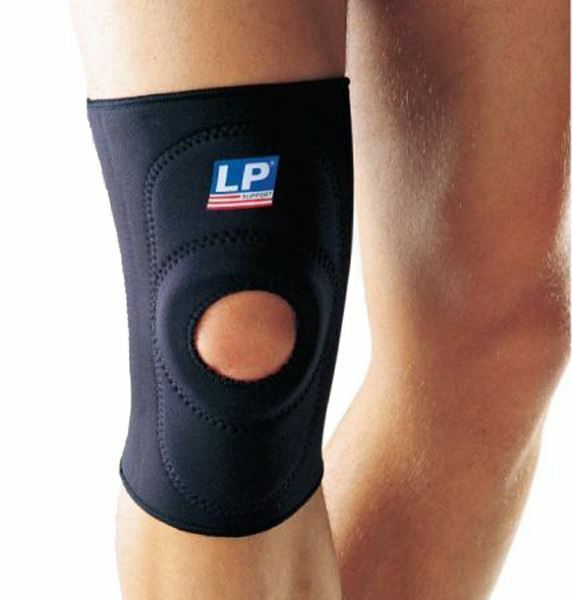 Open patella neoprene support. Oval pad gives extra padded protection to knee joint. Reinforced stabilizer around kneecap prevents patellar displacement. Helpful for postoperative knee problems, strains, arthritis and protection against abrasions. Measure the circumference of the knee at the patella with knee fully extended.